We at TECHT know that the X7 Phenom is a great marker but some of us out there want the ability to fine tune our Phenom Markers. Whether adding upgrades or just maintaining the marker, knowing your operating pressure is invaluable. The TECHT Stainless Steel Gauge Pin allows players to observe and/or monitor their operating pressure. The TECHT Gauge Pin is constructed of stainless steel and is offered in silver or black. The S.S. 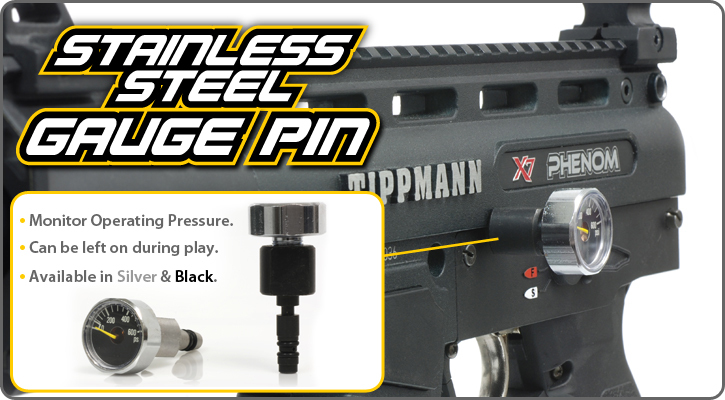 Gauge Pin can be used during play or can be used just during tune-ups. 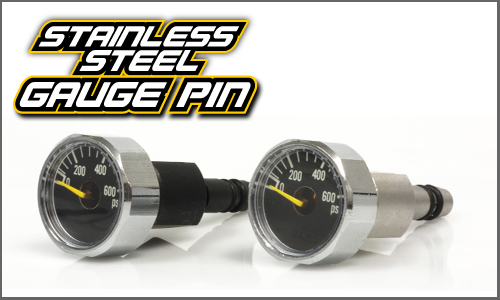 The pin also includes a 0-600 psi micro gauge to easily reference your operating pressure. As with all TECHT Products the Stainless Steel Gauge Pin carries a limited lifetime warranty against manufacturer defects. 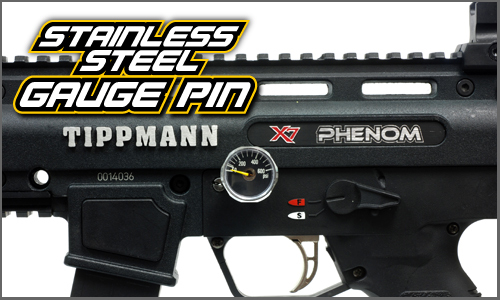 Allows players to monitor operating pressure on Tippmann Phenom.